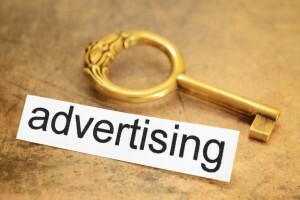 Home / Ads / Are display Advertisements Effective For big Brands? Are display Advertisements Effective For big Brands? As the era of traditional marketing is dying out and is struggling to prove its effectiveness, online display advertising is helping revolutionize marketing. Display Advertising has enabled faster brand building, effective targeting, and real time conversion measurements in the digital world. Main reason behind big brands using the display advertisements is that it effectively catches the eyeballs of the targeted audience as compared to other media and also has the power of educating them in accordance to their likes and interests. Traditional media failed when it was targeting any kind of prospects who were never interested in your products or services, but using the display advertising online- it is not as much interruptive or annoying to prospects. Display advertisements are now made by studying the user behaviour online- as they like to watch videos, read interactive content or images or special graphics. Displays can be less invasive as long as they are accompanied by responsive content. Only online banners however have proved to be way less effective or interactive as compared to other forms of display ads because they don’t tell the entire story or does not provides much of the information that the prospect is looking for. Displays work best only when they are accompanied by interactive media and long form text that can educate readers about the product. It is the behaviour of people online that drives them to search before making an informed decision, and that is the reason of success of display ads along with content that it brings in quality leads. For example, Animal Planet became the number one Youtube campaigner as their videos were accompanied by interactive media. Volvo achieved sales boost for its S60 sedan by nearly 90 percent, all because of their display ads across YouTube, AdMob, and the Google Display Network. Display ads can be used and can affect consumers at any stage of the marketing funnel ranging from awareness, education, evaluation to proposal and purpose. Other marketing solutions that can be compared is the email marketing that tends to concentrate on specific areas of the funnel. The reason behind the success of display ads is that people have more power to retain of content about what they see than what they read or hear. Mobile marketing has started to become popular with the digitalization of services and with the ease with which customers look for informative content by using their smartphones. With mobile apps picking up pace, display ads are also starting to get momentum. For this reason, Google and other search engines also give importance to websites with the most responsive content and rich media. So for SEO services and web developers it is crucial to take into account the inclusion of such interactive content in order to boost the website’s rankings in search queries. Whether the images or other media are posted on social networks, blogs or articles, they alert the search engines of the social signals received in context of these ads for the purpose of ranking the website. Retargeted displays are designed to recapture audience with cookies who had a history of interacting with a particular kind of ads. This form of personalised ad serving is very effective as it is non-pervasive and is very effective in creating brand awareness and brand recall. The user will end up seeing the same ads again and again without the interruptive effect as is the case for traditional advertising. Dynamic creative optimization is one such upcoming technology that is optimized for mobile devices and serves different versions of ads to different people based on user behaviour data online. Responsive designs or creatives such as rich media, 3D images, animations and videos can be optimized and served for mobile devices. This is the reason why Google and other search engines give preference to websites in their rankings with responsive designs and rich media. As online display ads can be optimized to target specific audience and their impact can be measured in real time by analytics, studies have shown that display ads can help improve market response considerably. Targeted display ads are shown to boost event registrations by 25 percent. Furthermore, it has also been shown that display ads can help improve the probability by 10 percent that customers will recommend the brand. Whether it is a big brand or small brand, display ads can make a difference if they were rightly targeted towards the audience.